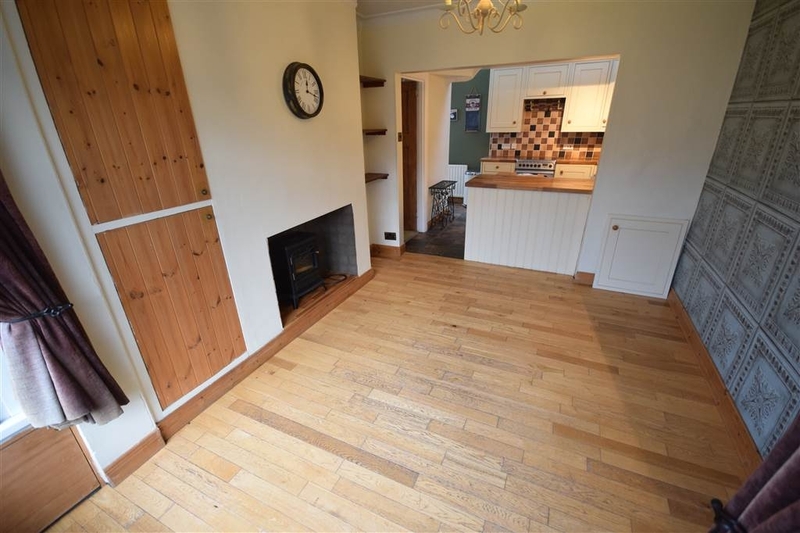 This well presented and deceptively spacious detached villa is situated in a highly sought after Ballyholme location, only a short distance to coastal walks, Yacht Clubs, popular Ballyholme Primary School and shops at Groomsport Road. 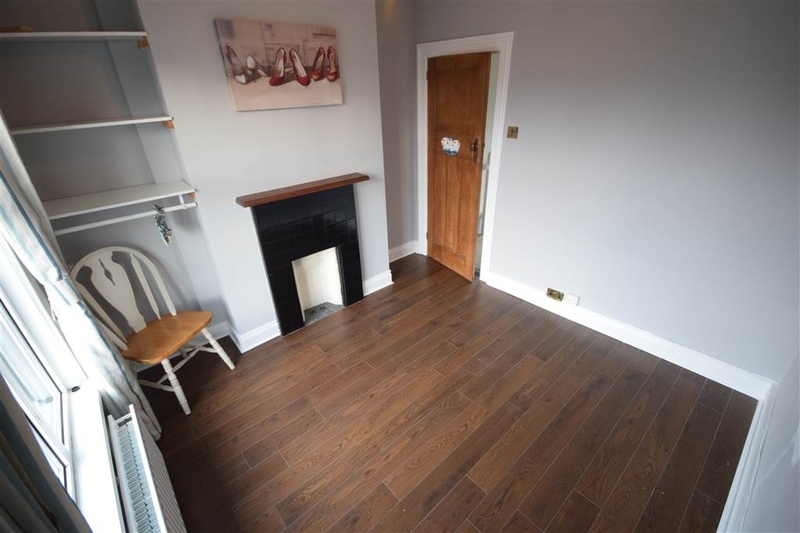 Available to let immediately unfurnished, the property offers a large open plan lounge dining room with access to a small enclosed rear courtyard, a separate kitchen with range of cupboards and appliances open plan through to a good sized living or dining area. 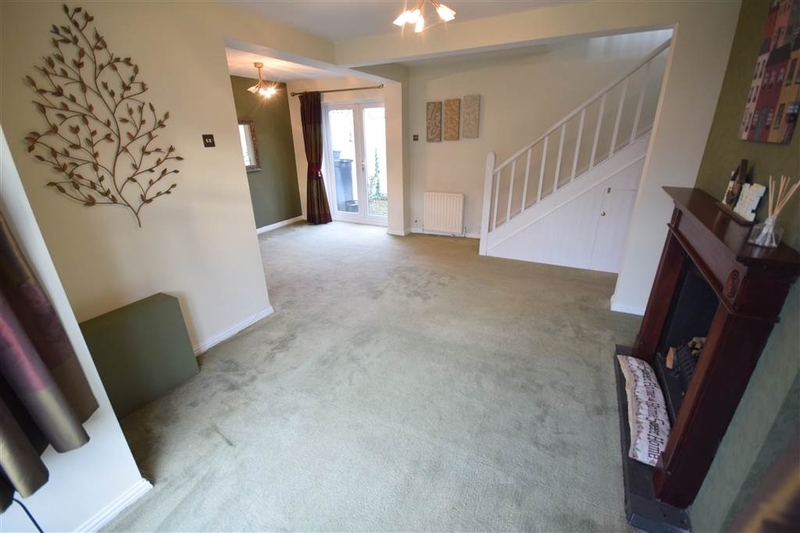 Upstairs there are three well proportioned bedrooms and a three piece white bathroom suite. 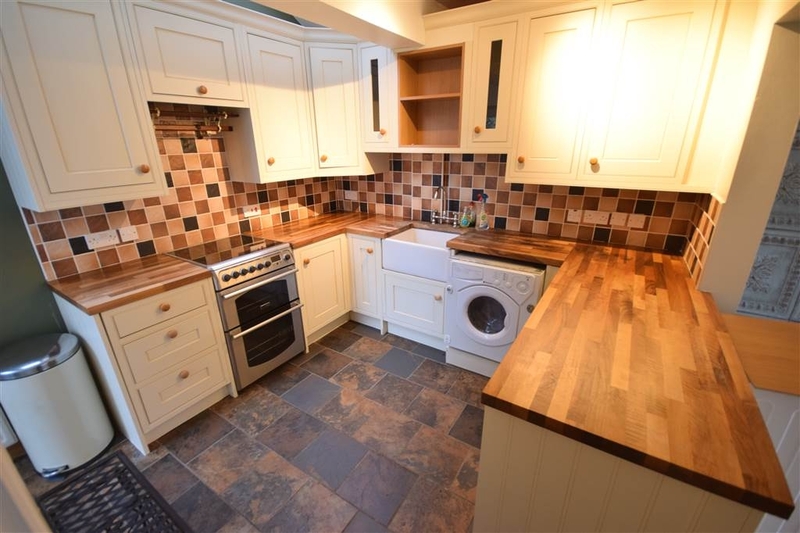 The home further benefits from double glazing, newly installed gas heating system and a ground floor cloakroom WC. 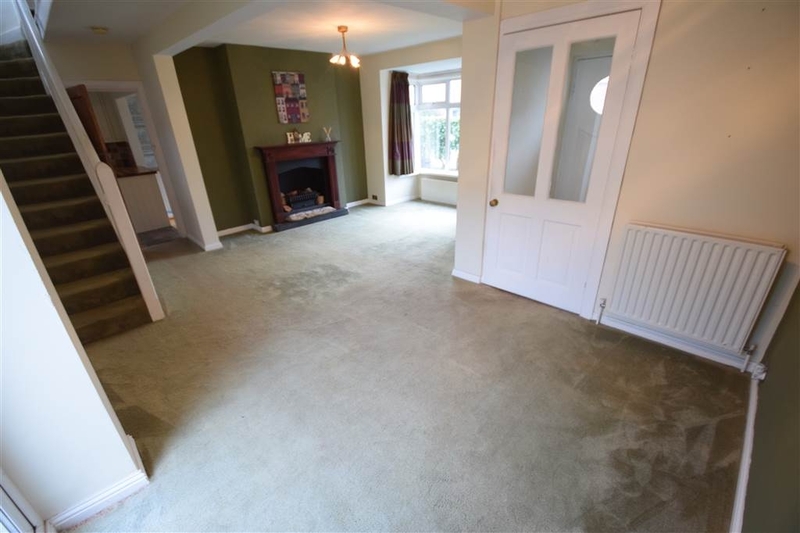 Outside there is off street parking and an enclosed garden area to the front in lawns. 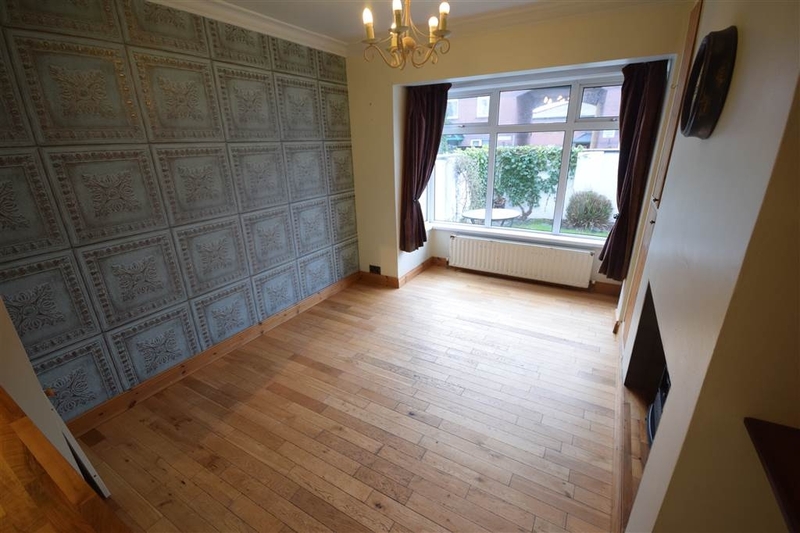 Available to let for £670 per month plus rates of approx. 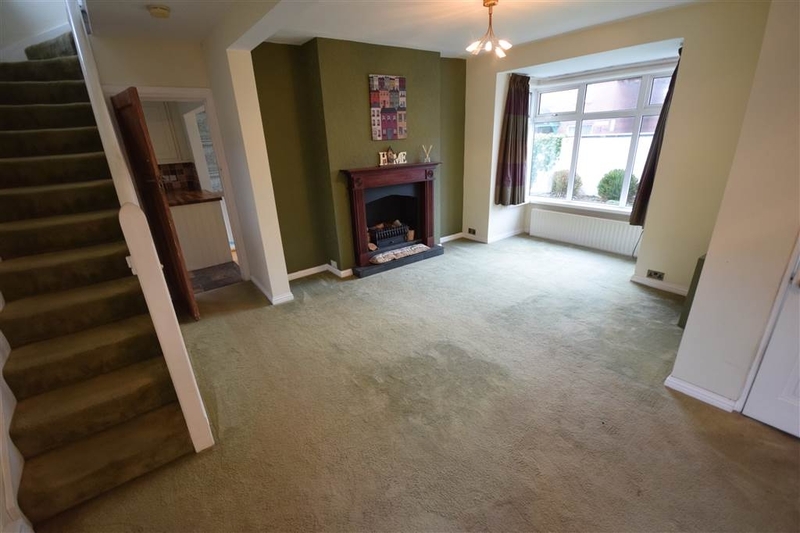 £124 per month, internal viewing is highly recommended. Wooden entrance door with glazed panel, wooden flooring. 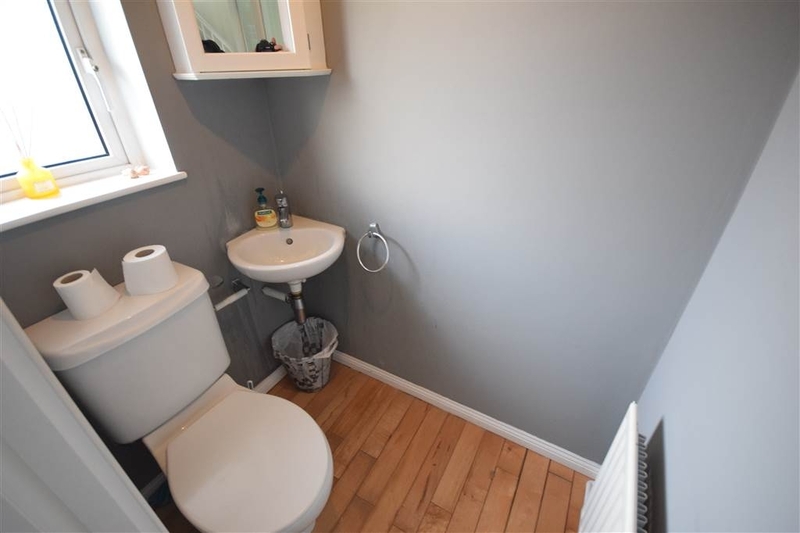 Low flush WC, wall mounted wash hand basin, wooden flooring, single panelled radiator. 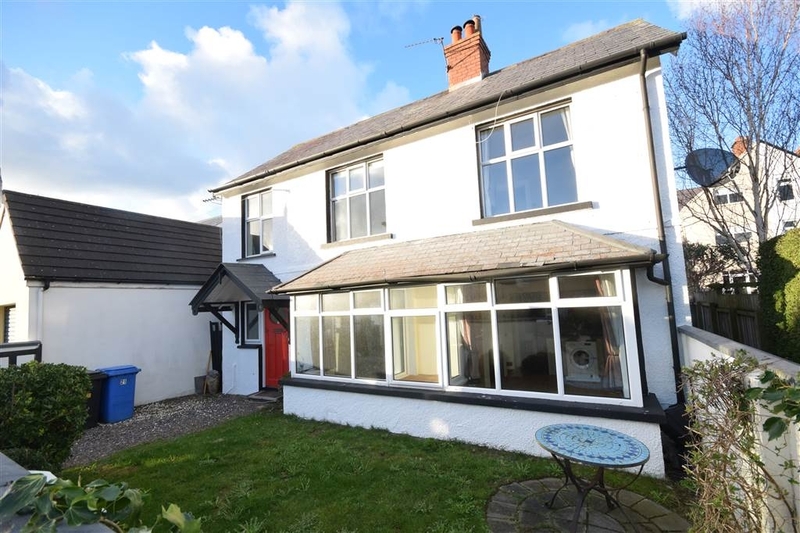 At widest points including in to square bay window, wooden fire surround with tiled hearth, three double panelled radiators, double glazed French doors to rear courtyard, phone point. Range of cream fitted high and low level cupboards, wooden worktops with fluted drainer, integrated fridge and freezer and washing machine, freestanding cooker, concealed extractor fan, double glazed door to courtyard, velux window, part tiled walls, tiled flooring to kitchen area and wooden flooring to living/dining area, jaw box sink unit, square bay window to living area, double and single panelled radiators, Hot Press off. Plus dressing area of 6'11" x 5'5". 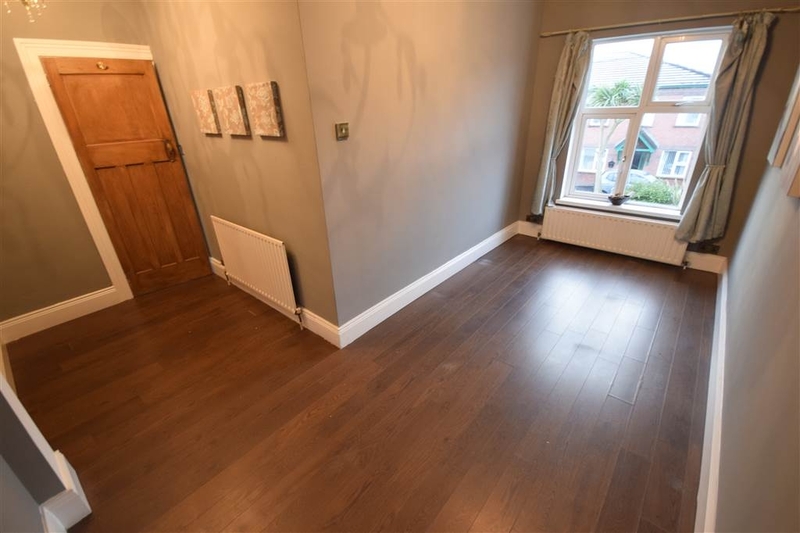 Wood laminate flooring, double and single panelled radiators, velux window. 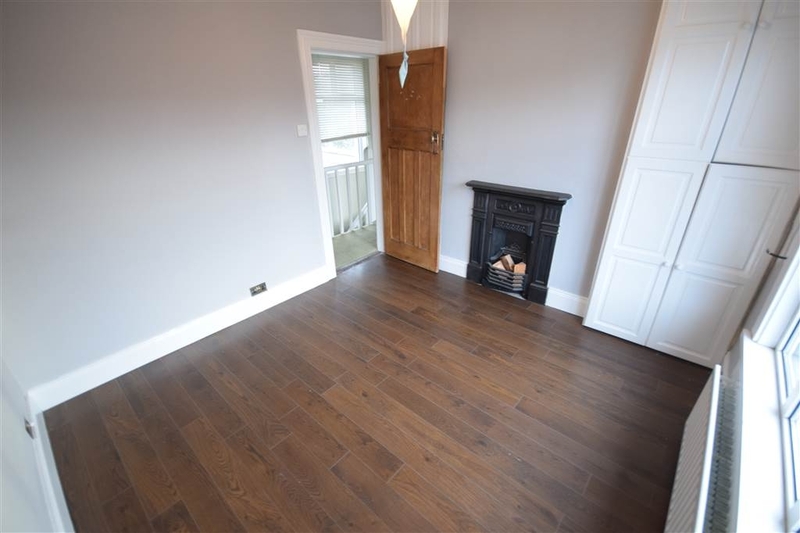 Feature cast iron fireplace, wood laminate flooring, double panelled radiator, built-in wardrobes. Overall. Tiled fire surround, wood laminate flooring, phone point, double panelled radiator. 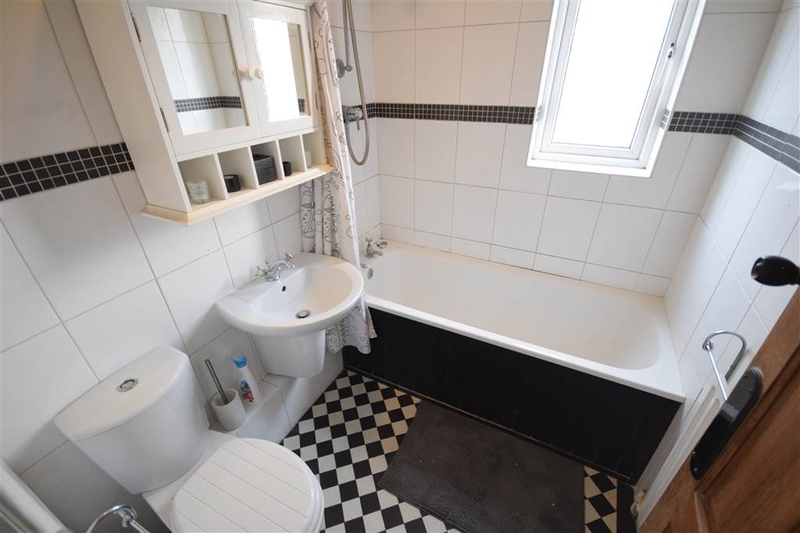 Three piece white suite comprising of panelled bath with mains thermostatic shower over, push button WC, semi pedestal wash hand basin, single panelled radiator, tiled flooring and walls. 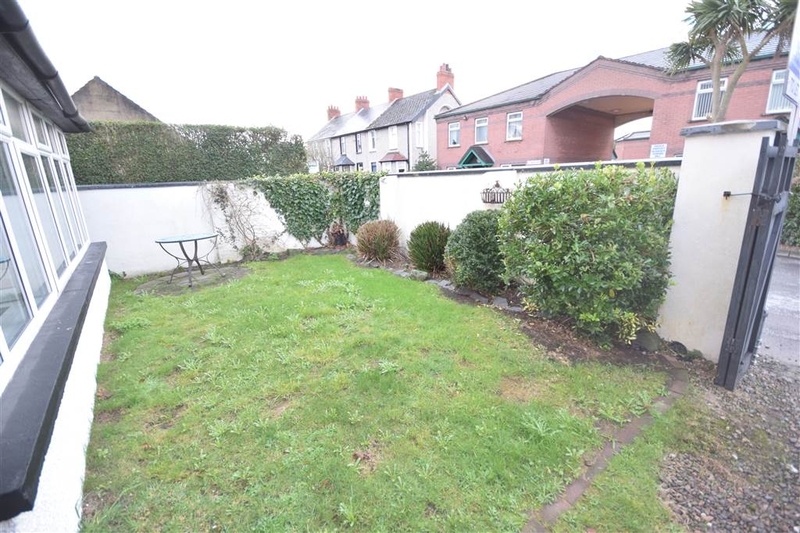 To front - off street parking with double gates, garden area in lawns. To rear - enclosed courtyard area in stones.